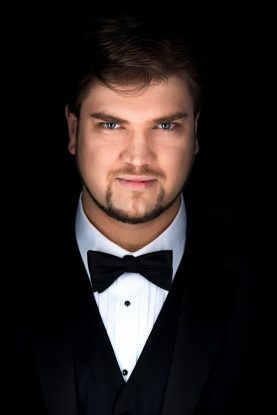 A trilingual (English, French and German) bass from Austria and New Zealand, Anthony Robin Schneider is in his final year at the Academy of Vocal Arts in Philadelphia, where he performed the roles of Sparafucile in Rigoletto, Archibaldo in L’amore dei tre re, Il Commendatore in Don Giovanni, Méphistophélès in Faust, Colline in La Bohème, and Comte des Grieux in Manon. He covered the role of Banquo in Macbeth at the 2015 Glimmerglass Festival. Other recent highlights include a performance of Handel’s Messiah with the Philadelphia Orchestra in 2014, and a recital of Sibelius songs with Lyric Fest in Philadelphia. Mr. Schneider was a nationalist semifinalist at the 2016 Metropolitan Opera National Council Auditions. Other 2016 prizes include a Grant from the Gerda Lissner Foundation Lieder/Song Competition, and 2nd Prize in the Giargiari Bel Canto Competition. Anthony is also the proud recipient of a Kiri te Kanawa Foundation Scholarship.